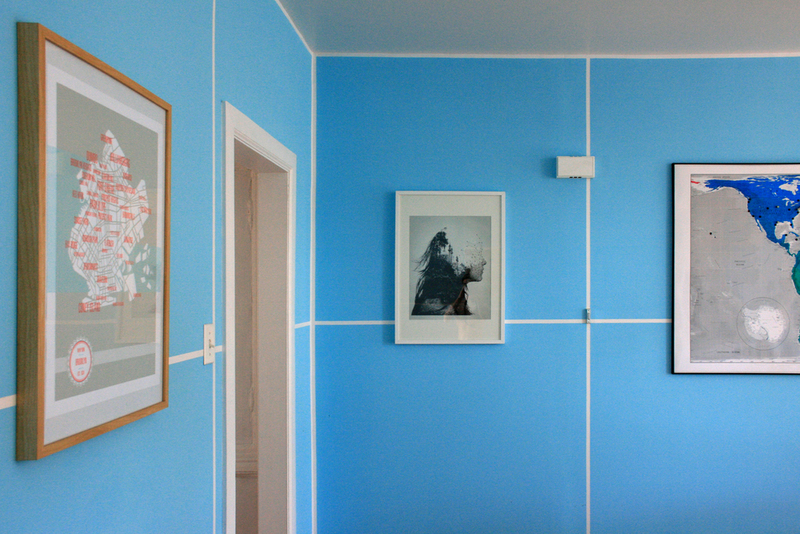 The entirety of the room was measured and each wall was divided into a series of squares. 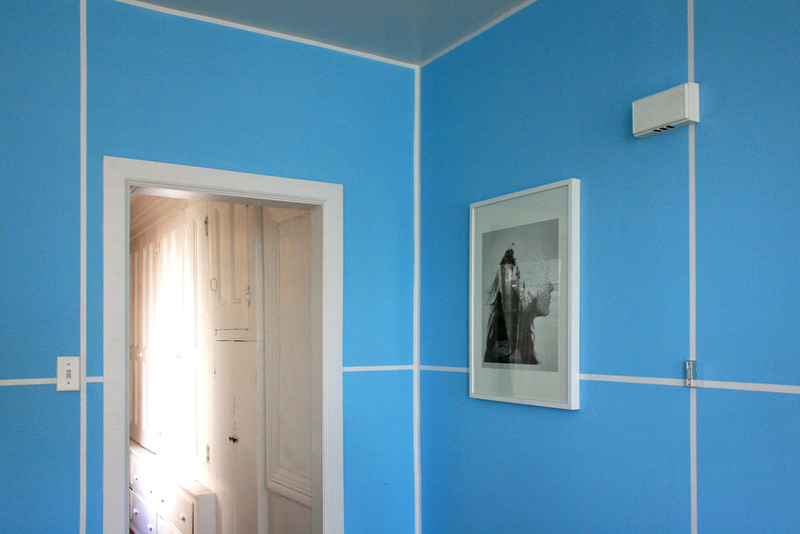 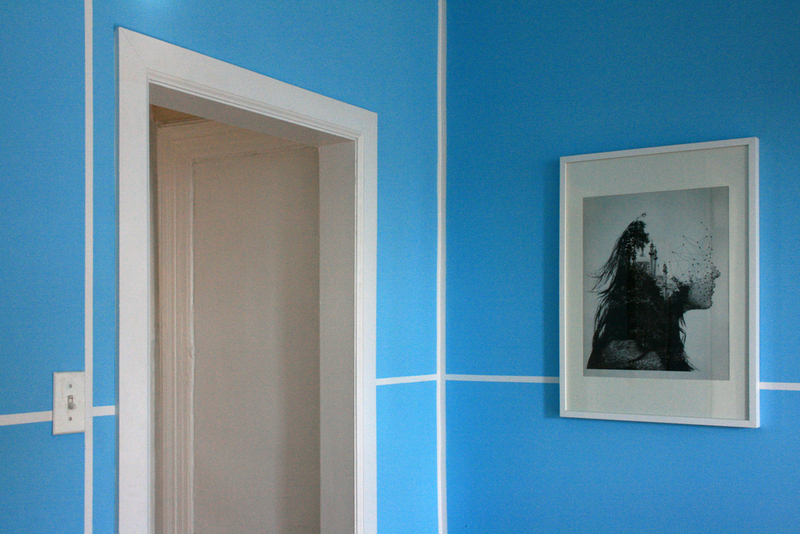 With the aid of masking tape the simple pattern resulted in a refined appearance for the space. 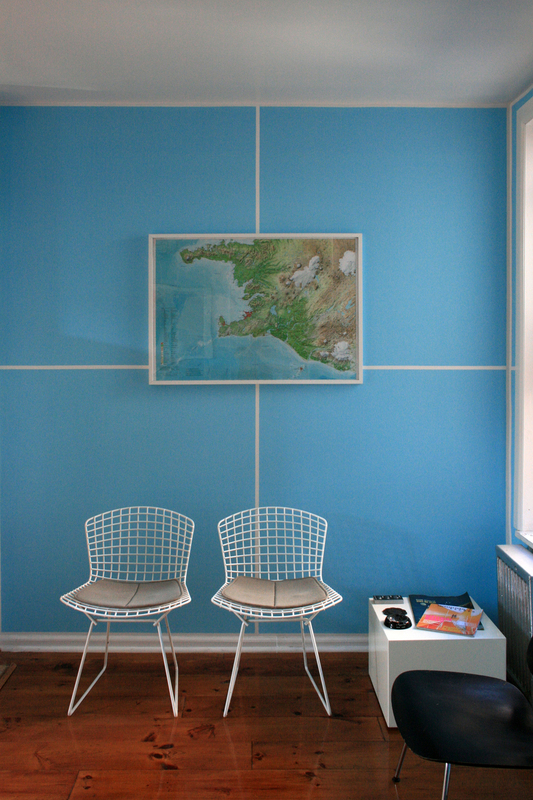 The Grid room was inspired by vintage oceanic maps and engineering graph paper.